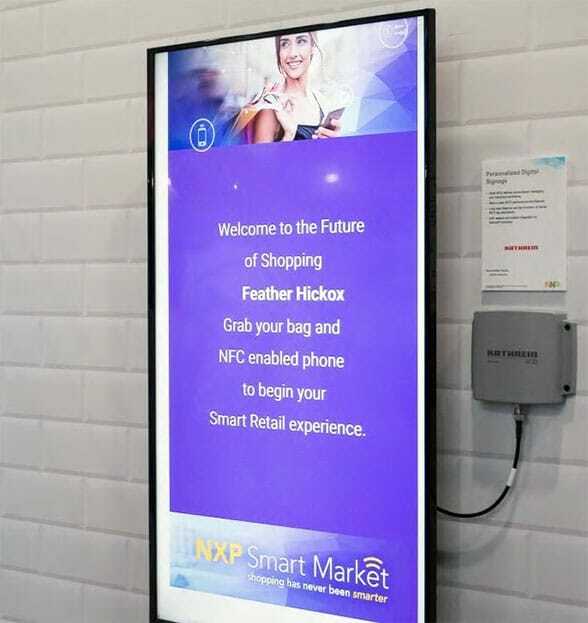 PARTNER NEWS: NXP is showing off its vision of the future of retail at this week’s Consumer Electronics Show in Las Vegas. The NFC pioneer’s ‘Smart Market’ exhibit is an unmanned store that demonstrates new interactive and personalised shopping experiences made possible through the company’s portfolio of NFC and RFID products and services, secure payment technologies, and partner solutions. For the demonstration the chip-maker has teamed up with big brands and technology suppliers including Kraft Heinz and Coca Cola, Decathlon, Ingenico and TPG Rewards to show how technology will transform the shopping experience of tomorrow. 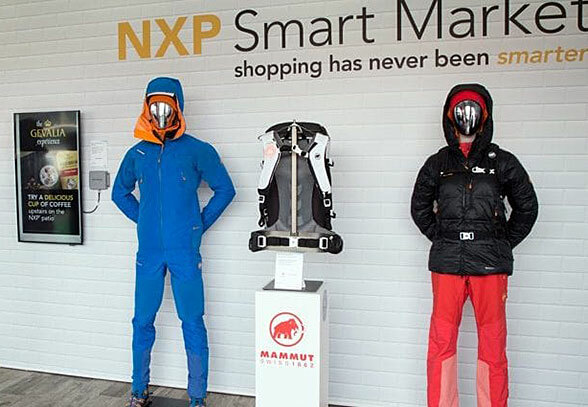 Store access — 24/7 opening with NXP’s Mifare contactless access control solutions. Self-checkout stations that feature automated, simultaneous reading of products in a shopping basket or cart and contactless payment for secure and seamless transactions. Intelligent refrigerators that use RFID for inventory management and NFC to allow customers to pay for products as they are taken from the cabinet. Mobile brand engagement — How a personalised and interactive experience can be delivered to consumers with a tap of their phones, using NXP’s nTag NFC and iCode RFID/NFC Type 5 tags. Electronic shelf labels from Opticon for checkout in the aisle via NXP’s NFC Reader IC technology. Personalized advertising displays — How customers can be welcomed on entry by personalised digital signage, using NXP’s uCode Rain RFID wearables. Readers at the CES can visit the Smart Market booth CP-18 in the Central Plaza, or find out more and see further pictures in a post on NXP’s blog.